Consist of 4 basement levels, typical height floors and tall floors. Total 4 LL + 15 FL (19 floors). Glass fiber reinforced concrete or GFRC is a type of fiber-reinforced concrete mainly used in exterior building façade panels and as architectural precast concrete. 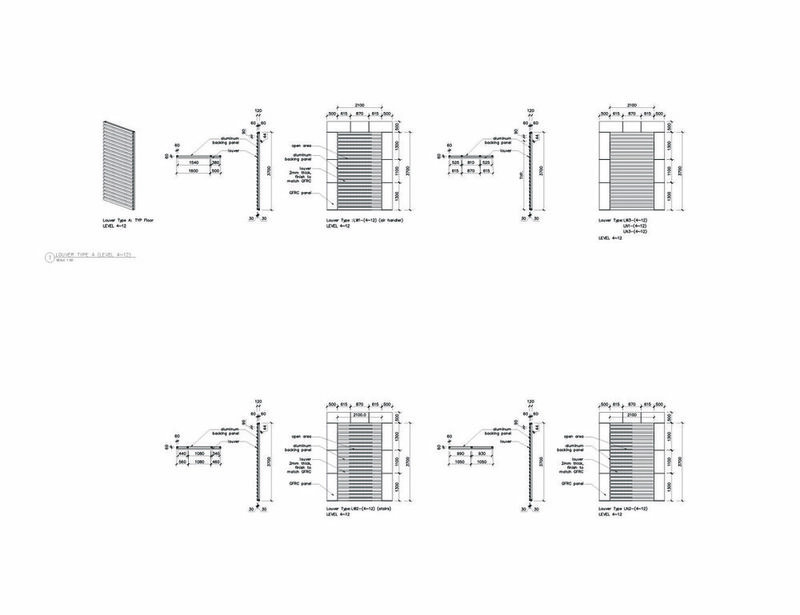 For 337 project, GFRC panels are used in both interior (partially) wall finish and exterior facade. According to building heights and special cases, the panels are color coded and categorized in relationship to their dimensions and shapes. Color-coded elevations and details of typical and special cases of assemblage of GFRC panels. The categories are divided into Horizontal, Vertical, Corner, Special (roof top, entrance with parking lot) cases. 800 x 900 (mm) or 6 x 3 (ft) exposed concrete is used throughout interior of the building. 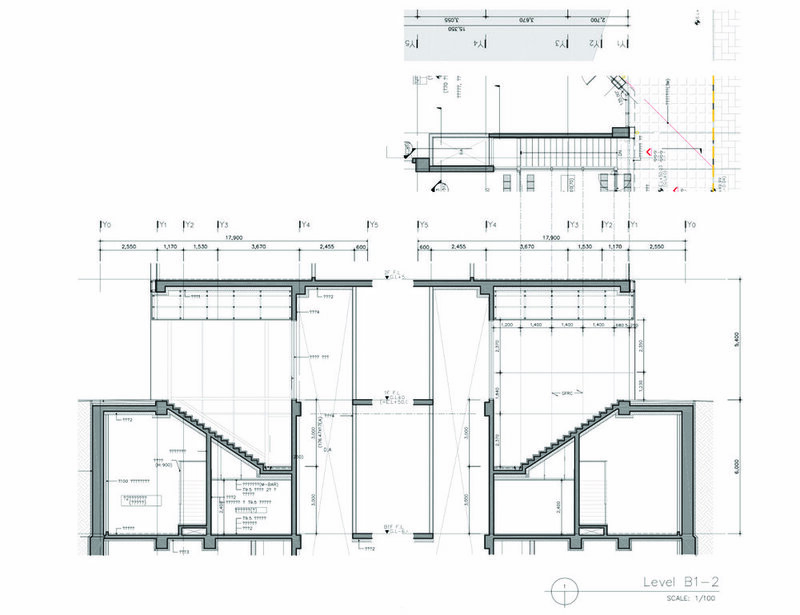 Except staircases and restrooms, rest of the interior walls are covered with exposed concrete above finished floor+1300 mm, approximately 4’, where edge of GFRC continues from exterior to interior. Other sizes of panels and hole spacing are also explored for simplest and cleanest solution. Aluminum louvers on North and West facades. Divided into typical, corner, and interior pieces, same logic as GFRC panels.